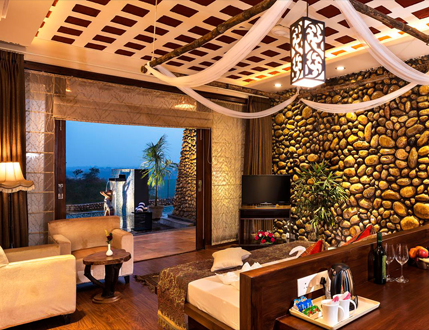 At Gaj Retreat we offer a wide variety of luxury amenities to satisfy our guests’ every need. The journey begins within our luxury suites, chateaus and tents that reflect the serenity of our retreats setting. 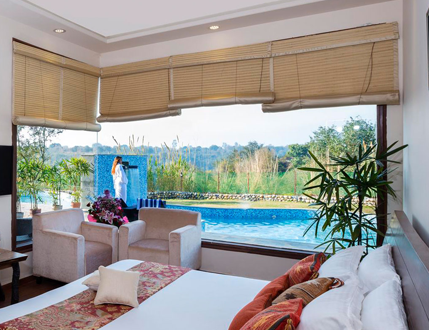 At Gaj Retreat we offer a wide variety of luxury amenities to satisfy our guests’ every need. 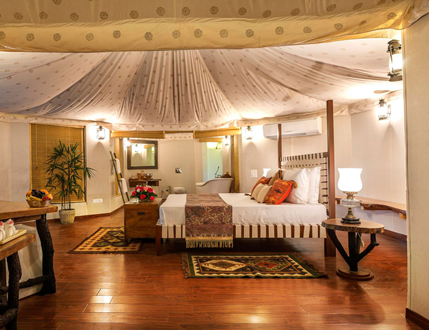 The journey begins within our luxury suites, chateaus and tents that reflect the serenity of our retreats setting. Venture out into the rest of Gaj Retreat and you will discover our fine dining restaurant, exotic bar, lounge café, swimming pools, a state-of-the-art spa and wellness centre and a magnificent expanse of manicured greens and nature preserves.